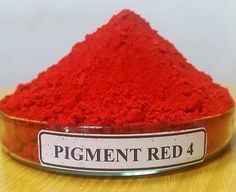 The Canadian government has formally proposed adding pigment red 4 to its cosmetic ingredient hotlist, as well as making changes to several existing listings. The government is proposing adding the dye to the list of restricted substances, limiting concentration levels to 3%. The move comes as a result of potential health concerns at previously reported concentration levels, as assessed by the country's Chemicals Management Plan (CMP). Health Canada notified stakeholders in July that the proposal was coming. The hotlist informs industry about substances that are inappropriate for cosmetic use, are restricted in some way, or require hazard labelling. It was last updated in 2015. Health Canada will accept comments until 7 January.